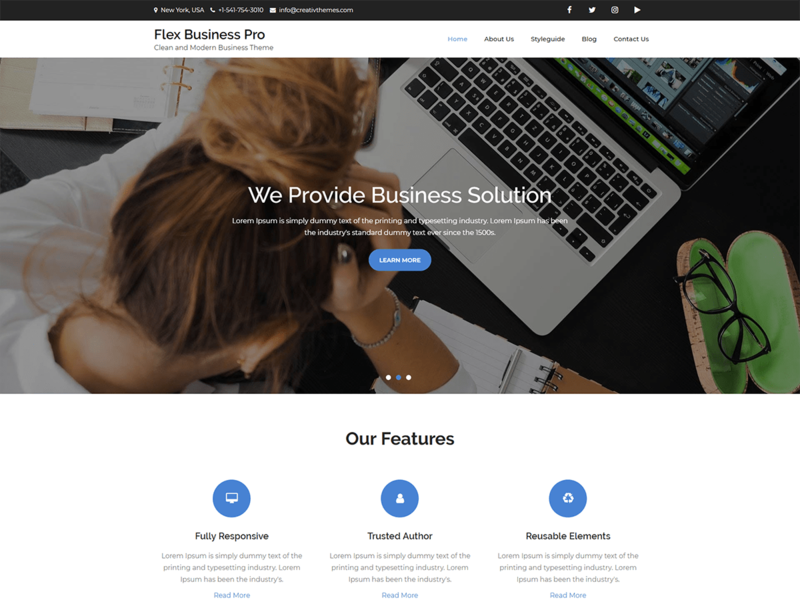 Flex Business Pro is a clean and Modern WordPress Theme. Flex Business Pro is best suited for corporate website like Financial Adviser, Accountant, Consulting Firms, insurance, loan, tax help, Investment firm etc. This is a business theme that is help full for online presence for Corporate Business and Financial Firms. This theme comes with necessary features for your online presence like portfolio, blog and personal profile page etc. Flex Business Pro can be a great choice for your online presence. It is super responsive and easily customizable wordpress theme.